We offer treatment for acute and chronic orthopedic conditions, sports injuries and chronic pain. We partner with you, creating an integrative plan that goes to the source of the problem to offer long-standing relief and resolution. We take stock in the whole person. Upon your first visit, in addition to finding out about the pain, you may be asked questions about your diet, exercise, sources of tension and stress. You are encouraged to learn about your condition and do what's necessary to make yourself well. We believe you are in the best position to know what's right for your body and your life. We enjoy working with a network of providers, alternative and western, to offer the best solution for you. We offer chiropractic manipulative therapy, Active Release Technique (ART) and modalities of physical therapy to treat the condition. This will ease the condition and help you return to normal activities. We feel, at this stage, the cause of the problem is not dealt with and encourage you to begin active exercises to connect with your body, correct imbalances to offer long term correction to your weakness/condition. You choose the level of service. An Orthopedic Exam must be conducted before we can make recommendations. We get to know you and the history of your condition or injury. We would like to find out about your daily habits as well as conduct a physical examination to check the functioning of your joints, muscles and nervous system. The goal of the examination is to find the structures/tissues involved in your pain and WHY those tissues have been compromised. It is helpful for you to bring with you any imaging studies (X-ray, MRI, CT scans) or reports from any other special tests that have been conducted. We would like to know the names of your doctors/providers and contact them regarding your treatment plan. For your convenience, you may download patient entry forms and have them filled out prior to your visit. is a patented, state ofthe art soft tissue system/movement based massage technique thattreats problems with muscles, tendons, ligaments, fascia and nerves. Headaches, back pain, carpal tunnel syndrome, shin splints, shoulder pain, sciatica, plantar fasciitis, knee problems, and tennis elbow are just a few of the many conditions that can be resolved quickly and permanently with ART. These conditions all have one important thing in common: they are often a result of overused muscles. 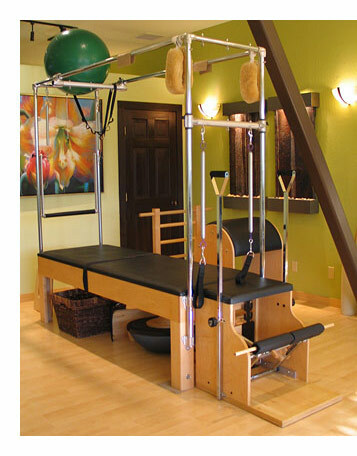 Chiropractic manipulation and physical therapy modalities (15 min). Your treatment may include myofascial therapy, electric stimulation, ultrasound and the use of heat and ice. Chiropractic manipulation and physical therapy modalities, when appropriate, plus active therapeutic exercises to correct your condition (55 min). Your foot is an essential foundation to a balanced and efficient gait. Faulty foot mechanics affect the entire kinematic chain, head to toe. An orthotic may be necessary to provide enough support to allow your body to function at its' best. Our prices reflect cash payment at the time of service. We can offer very reasonable prices because we do not employ a staff that bills your insurance. We will provide you the necessary insurance billing codes to send to your carrier for re-imbursement. Please check with your carrier for out-of-network chiropractic coverage for specific details. If additional reports are required by your insurance carrier, additional fees are incurred.